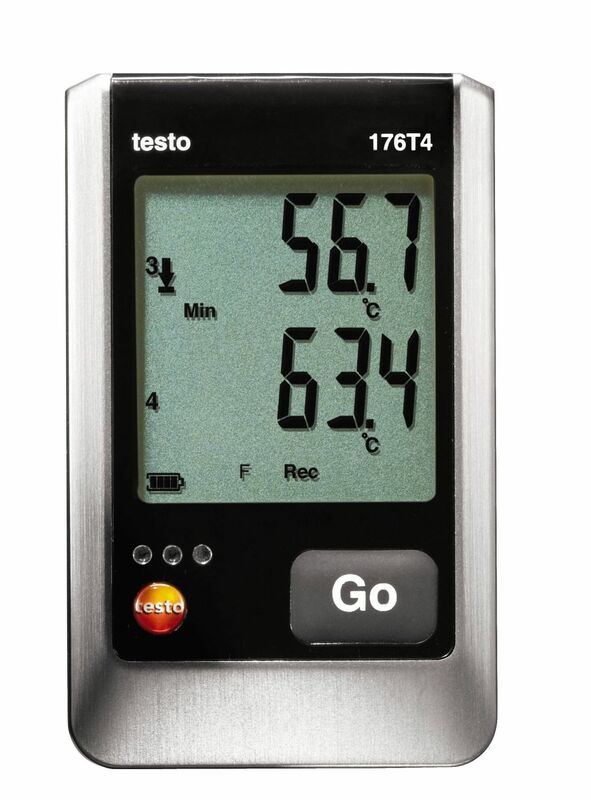 The testo 104-IR food safety thermometer is ideal for carrying out temperature and food safety checks. 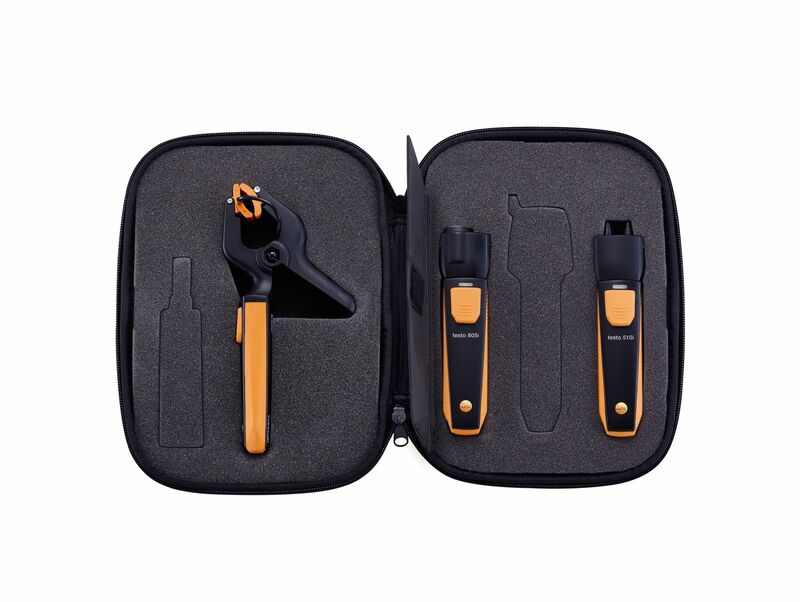 Thanks to its folding mechanism, which makes it fit snugly in any pocket and could be available whenever you need it, to carry out checks on incoming goods, spot checks during transport or food inspections in the retail industry. 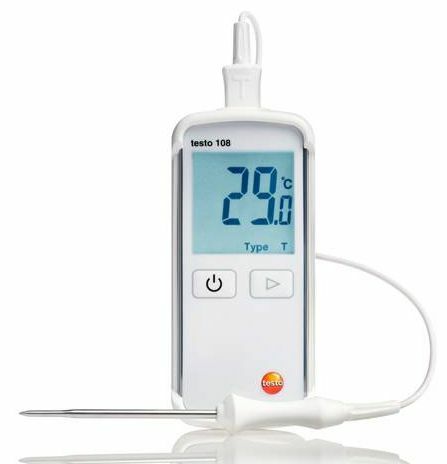 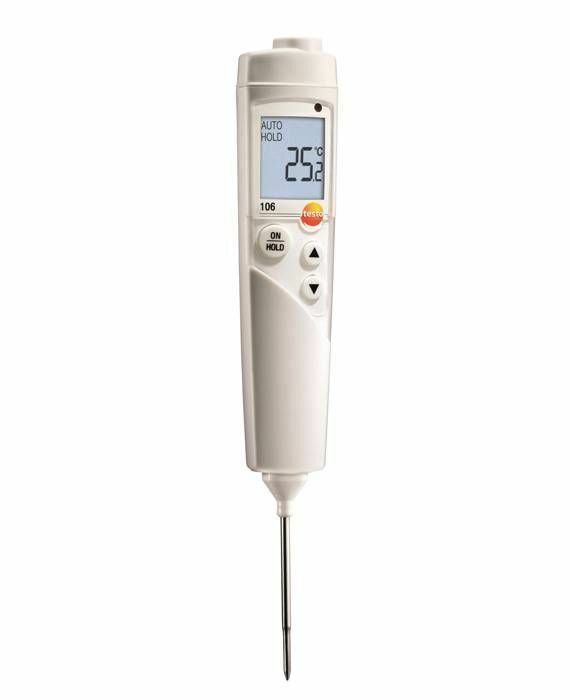 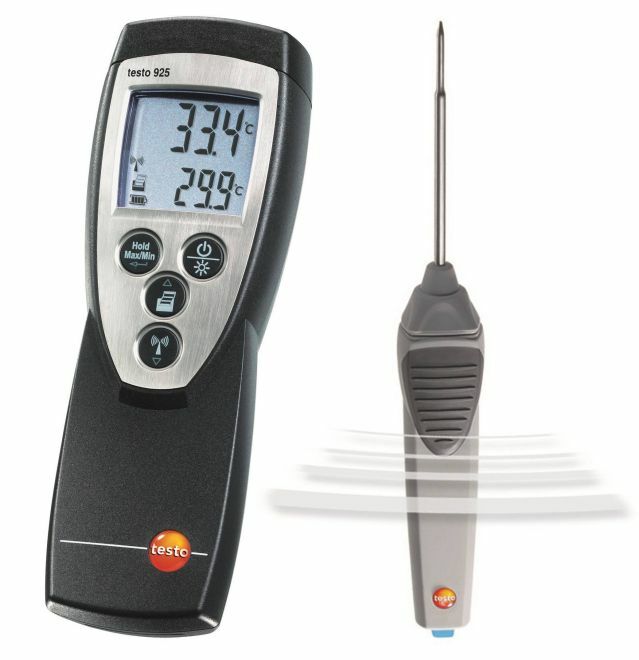 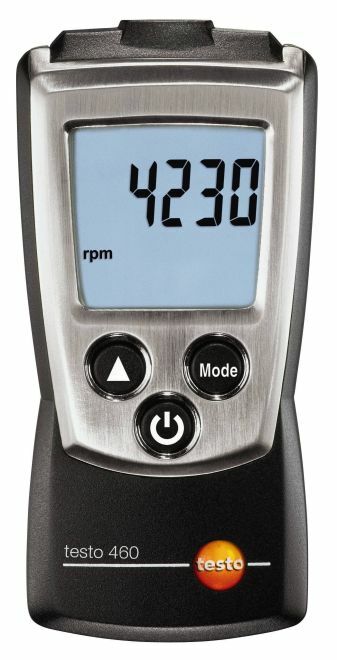 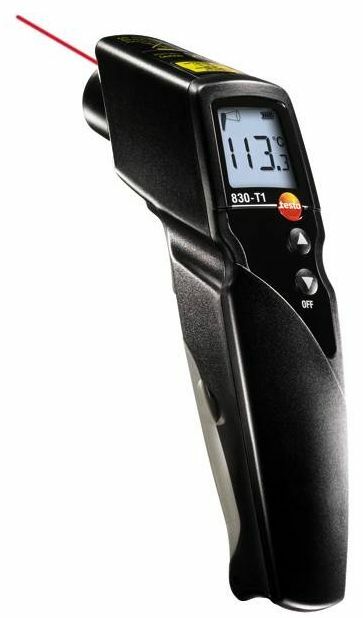 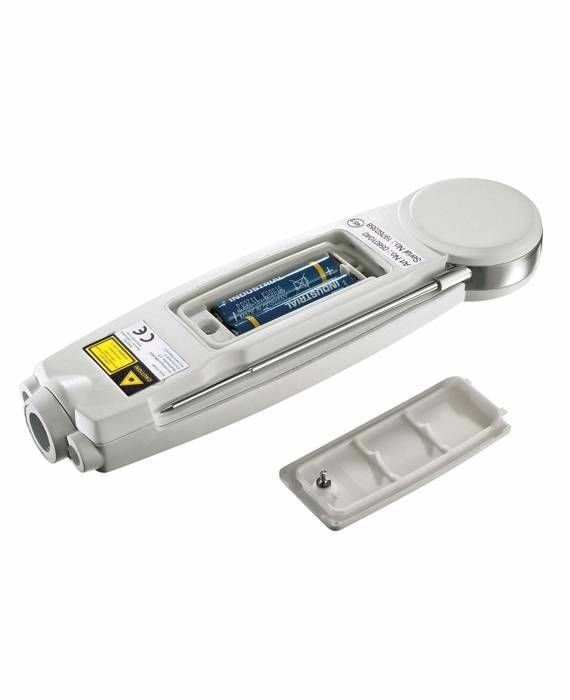 The testo 104-IR is equipped with a high-precision 2-point laser and 10:1 optics which show the exact measurement range and allow you to carry out quick and accurate non-contact surface temperature measurements.The 2-in-1thermometer is especially useful for checking incoming goods and for scanning the surface temperature of individual food products as well as whole pallets. 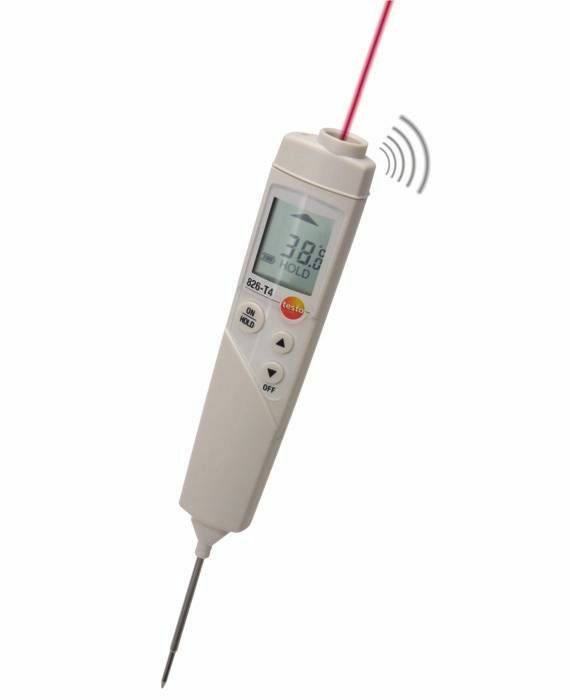 The folding probe thermometer is used to measure the core temperature of food products like meat and sausage meat for example. 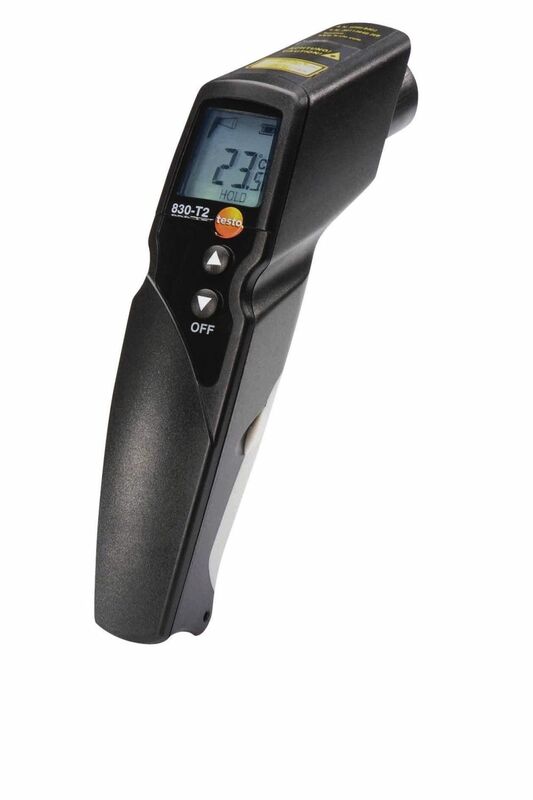 It generally comes into play when the infrared surface measurements are not within the prescribed thresholds. 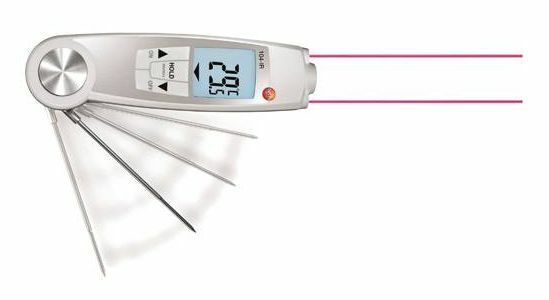 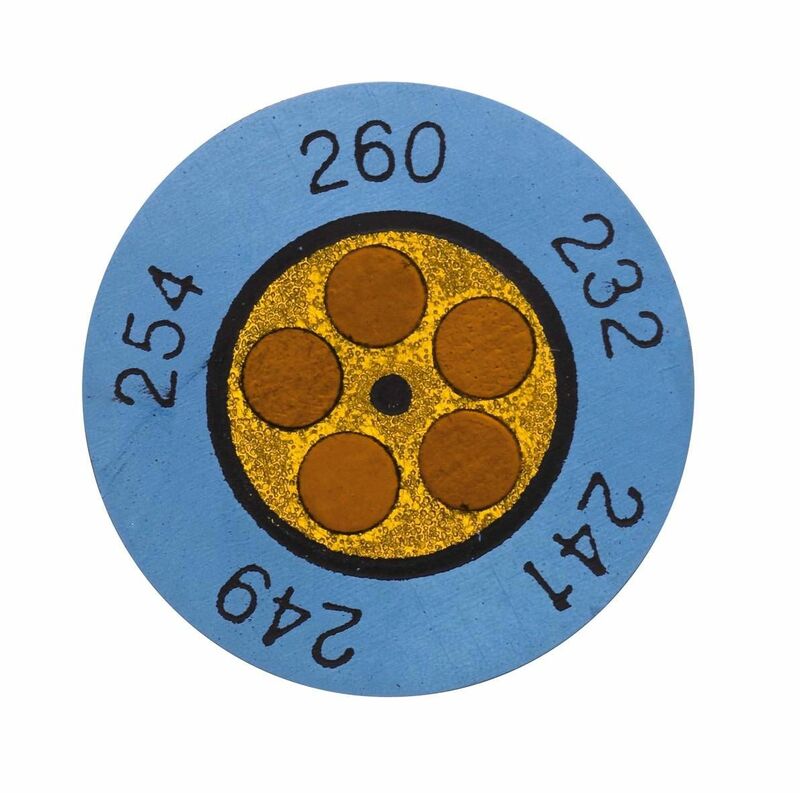 The probe can be folded away when not in use to protect against breakage. 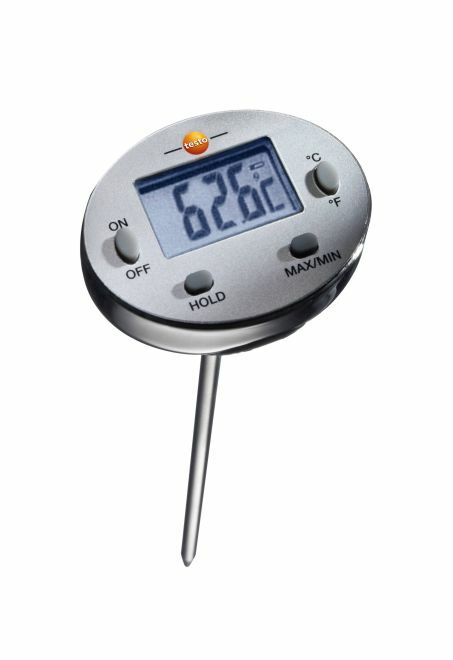 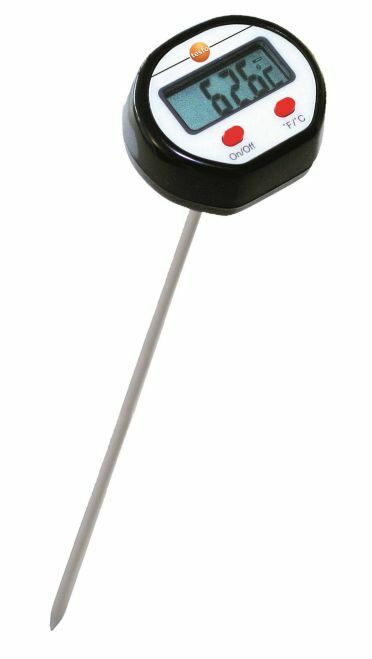 The food thermometer is immediately activated when the probe sensor is folded down. 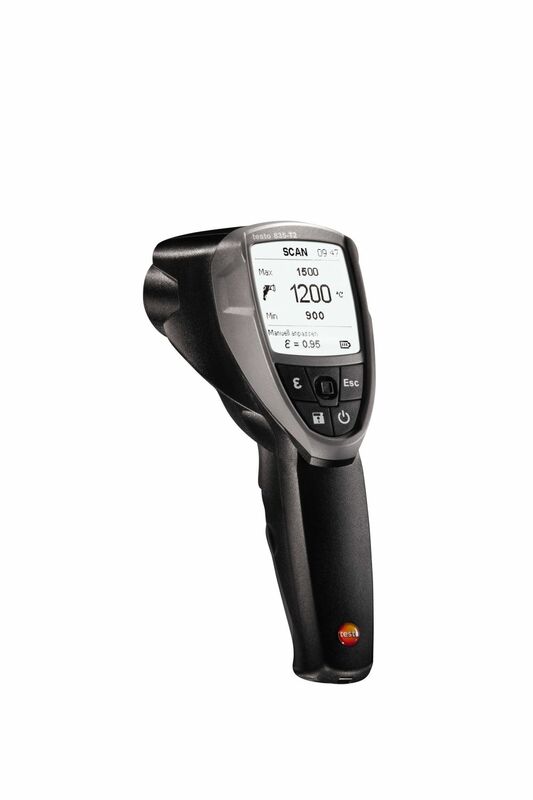 Simply press a key to start the infrared measurement. 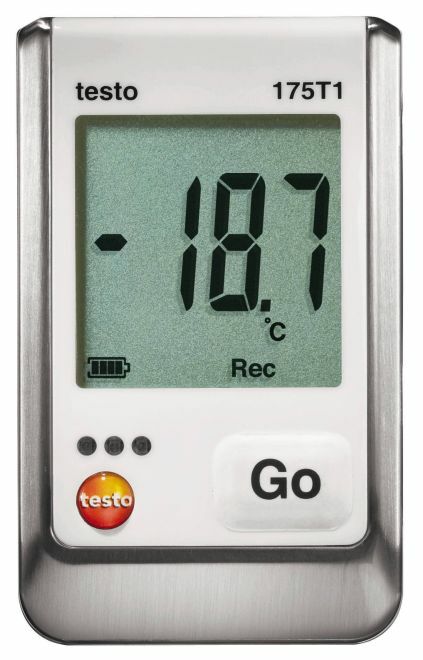 The results are presented on a large, easy-to-read display. 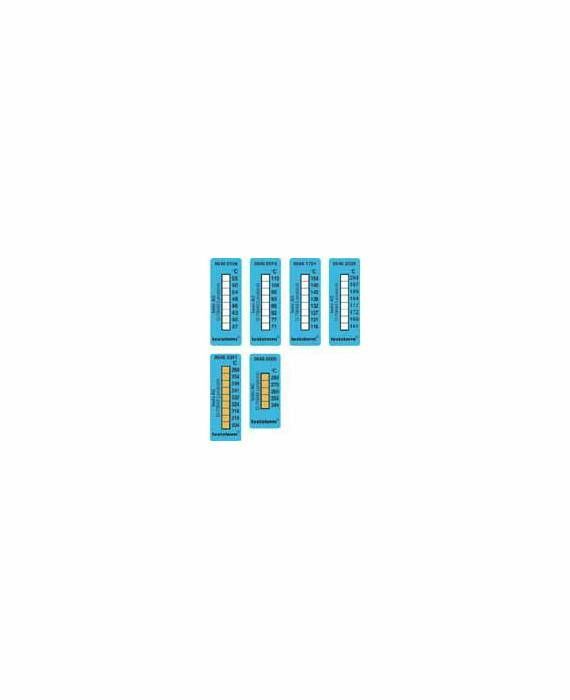 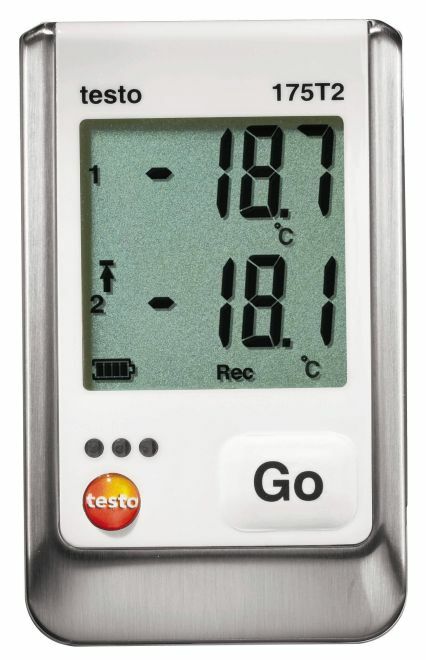 No need of instructing users for how to use, thanks to easy and self- explanatory keys. 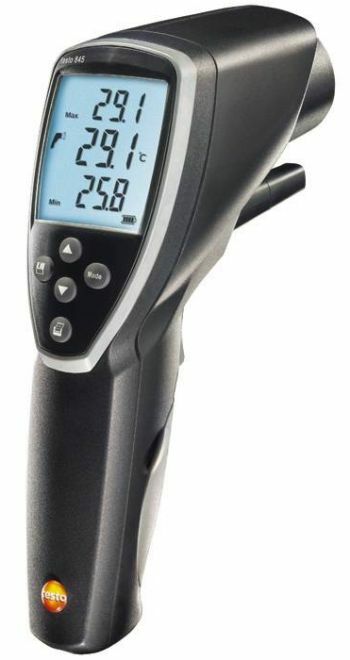 Last but by no means least, the food safety infrared thermometer is waterproof and IP65 rated. 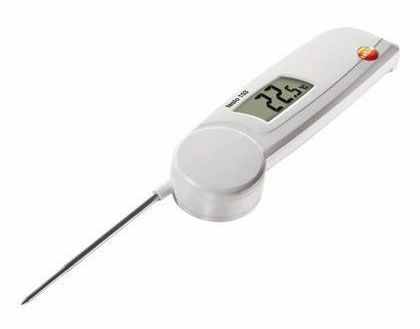 It doesn’t matter whether the food in question isbeing delivered, is in transit or in storage –in all three cases it is imperative that the cold chainis maintained at all times. 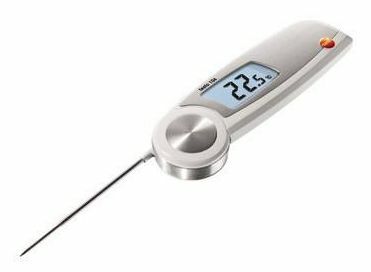 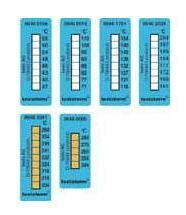 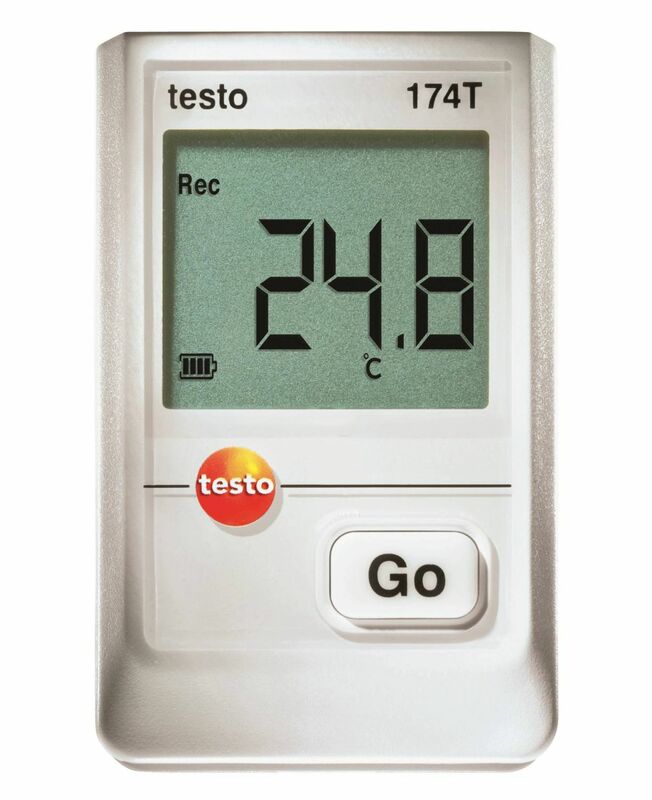 The testo 104-IR food safety thermometer is ideal for ensuringthat the prescribed temperature is maintained at each point in the cold chain. 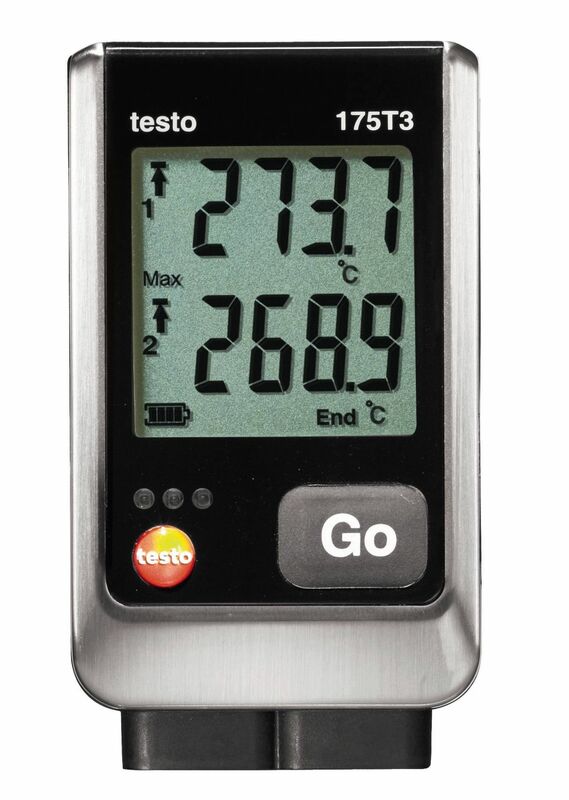 And like all the testo temperature meters for the food industry thetesto 104-IR is EN 13485 certified and HACCP compliant. 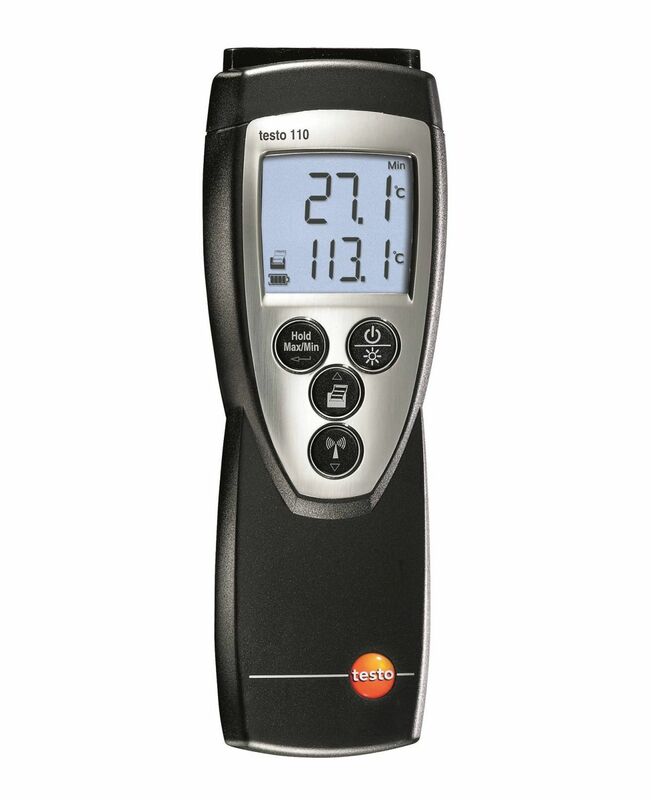 Testo 104-IR waterproof infrared food safety thermometer, fold-away probe, batteries, calibration protocol.